When I went green, one of the hardest things to switch over from was my shampoo and conditioner. As a hairstylist I’m already a bit picky about my shampoo and conditioner. Then add on the whole green factor and well…it’s tough! Oh and did I mention my hair is fine and thin?? Yeah, and if you didn’t know, most shampoo and conditioners that are natural tend to weigh the hair down unfortunately. BIG PROBLEM. By now you may wonder if it’s even possible to find a clean shampoo and conditioner! It is my friends, it is, and I’ve done all the hard work for you. I’ve got one for every budget and hair type, plus even a DIY for all those wanting to get their hands dirty! So I beg of you put down that toxic loaded shampoo bottle, filled with chemicals and snag one of my “green” picks instead. Your hair will thank you, and so will your body. After all, mainstream shampoos dry out your hair with their sodium lauryl sulfate garbage, and strip the daylights out of it. By that time your hair is so thirsty for moisture, you douse it in a chemical conditioner that actually doesn’t penetrate your hair shaft, but merely lays on top. Sign me up for that hair care regimen…NOT! No, I prefer, my hair to be cleaned, but not over aggressively, and conditioned, but not because of toxins. Ok, of enough of my rant…here are my tried and true picks for shampoos and conditioners. This baby is a good all around shampoo, even for the fine haired peeps. What I love about Acure is all the ingredients are pure, yet so economical. At just $9.99 a tube, this will last you a couple of months and not break the bank. You can usually even find it on sale! It is more of a clarifying shampoo, however, for me it just cleans normally-nothing too harsh. I’ve tried the other Argan Shampoos, and I found them to be too heavy for my fine hair. (If you have curly, thick, or coarse hair, I think you would like the other shampoos they offer as well). It also smells wonderful, like refreshing lemongrass, and it’s safe for color treated hair. Oh and it suds, for all you suds lovers out there. If you’re on a budget but going natural, this is your ticket! This shampoo takes the cake! John Masters has a slew of hair care products, and I love a lot of them. What caught my eye initially about the line was it was created by a stylist, John Masters. So many times shampoos are made, and in my opinion not really thought through. Being a stylist, John Masters knows what his clients want, and need, and then creates it…brilliant! This shampoo is no exception to his creative genius. 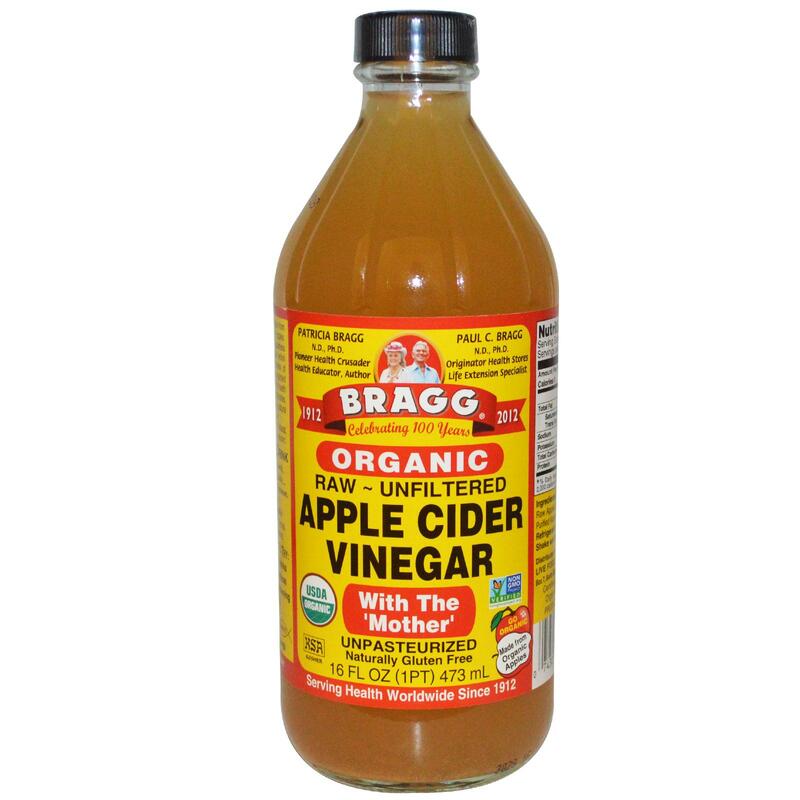 It cleanses your hair quite well, something that can be hard for many natural shampoos. It provides a nice lather, and stimulates the scalp with spearmint. I love this about it! My scalp really feels clean and airy, not to mention my hair smells amazing afterwards. No heaviness here, it provides great volume. Also, safe for color treated hair as well. The price is more mid-range around $18 a bottle. I can’t say enough about it, buy it and thank me! This is the holy grail of natural shampoos. It should be considering it’s the priciest of them all at $32 a bottle. However, it does perform considerably well, and it’s filled with ingredients that will make you swoon! Things like Ungurahua oil, green tea, jojoba and lavender just to name a few. It doesn’t weigh down your hair at all. But thoroughly cleans it perfectly. Again, this is also safe for color treated hair. It smells like a clean shampoo should…clean and amazing! If you feel that all natural shampoos weigh down your hair and you haven’t found the “one” …this is it. Trust me, you will not be disappointed. This is the perfect little leave in Conditioner. Great for those who just need a little extra moisture even after conditioning, or just for helping get those tangles out. It smells amazingly fresh and doesn’t weigh your hair down. Also, a really good option when going in chlorine pools. Spray it on before going in the water, and it helps protect the hair from the chlorine. Runs about $24 a bottle. As you can see I have a thing for John Masters! This Rosemary and Peppermint Detangler doesn’t disappoint. It’s also the perfect compliment to John Master’s Spearmint and Meadowsweet Scalp Stimulating Shampoo. Light enough to not weigh hair down, but conditioning enough to get the job done. It’s the perfect balance of getting good volume in your hair, but being able to comb through it after you condition. I’m also a sucker for anything with peppermint, so this had me when I first smelled it! 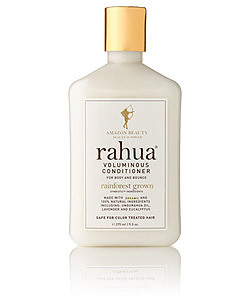 At $16 a bottle, this is a great mid-range conditioner for everyday use. This is a great conditioner. It perfectly moisturizes, yet doesn’t leave any heaviness. An all around one for those looking for that volume that is often missing from natural conditioners. Between the John Master’s Rosemary and Peppermint Detangler, it is definitely the lightest. 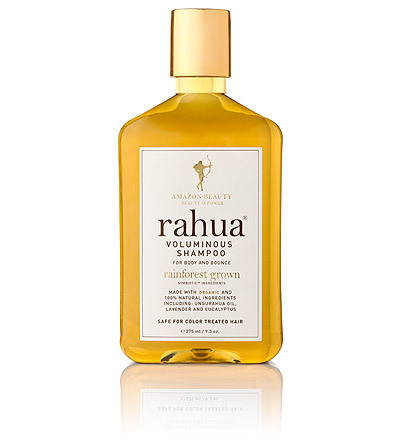 It pairs great with the Rahua Volumizing Shampoo. Again, it’s a bit pricey, but worth it if you can fit it in your budget, and have been on the hunt for the perfect natural conditioner. It runs $34 a bottle. I would love to hear what your favorite shampoo and conditioners are, leave me a comment below! It doesn’t leave it feeling greasy, but I feel I have to use more of the shampoo to really get it to lather up and clean my hair. Have you tried True Botanicals Shampoo and Conditioner https://gurlgonegreen.com/2016/02/12/true-nature-botanicals-review/ or Flourish Beauty Shampoo and Conditioner https://gurlgonegreen.com/2016/03/01/flourish-natural-body-care-review/ Both are awesome picks and leave my hair feeling clean! I included links to my reviews of them. Hope that helps!